I'm actually a pescetarian but putting fish next to meat might be deemed selfish to some fish-hating company. I am also the worst veggie going as I don't really like too many vegetables. Well, peppers and mushrooms and advocado, all the things food producers seem to think vegetarians love. 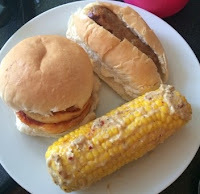 Which they probably do but I personally can't stand it, and so I scoured the Internet for ideas for a meat-free barbecue and of course halloumi burgers were a must. 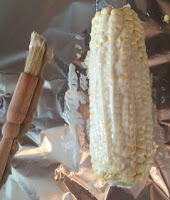 I also had seen a roasted Parmesan corn on the cob. Convinced we already had Parmesan in the fridge (my mother told me so), I didn't purchase any to go with them so when I found that we didn't have any I tried to work with grazed cathedral city extra mature instead. It's safe to say it didn't work the same. You're supposed to take the cob, brush on mayonnaise, add Parmesan, chilli salt (I used chilli flakes) and salt & black pepper. 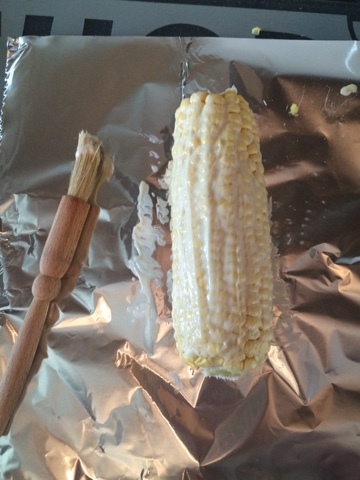 Once the cob is covered you wrap in foil and place on the grill for 10 minutes (I would advise much longer however mine was on the top grill to keep away from my meat-loving family's grub. The cheddar just melted into the foil rather than the cob and so I had lost all of my seasoning. 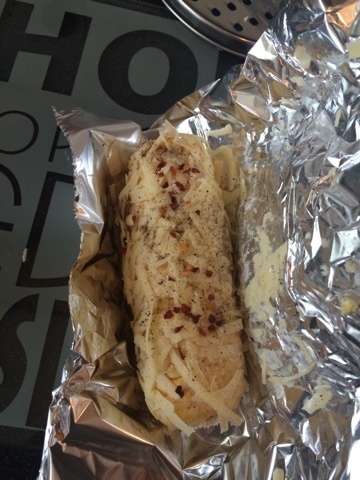 I did scrap it off the foil (what I could) and put it with the cob and it tasted lovely. Trial and error I suppose this is why we were doing a test run! 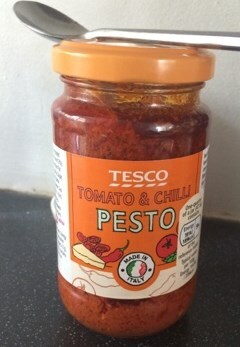 I could see why it's definitely Parmesan you need to use. 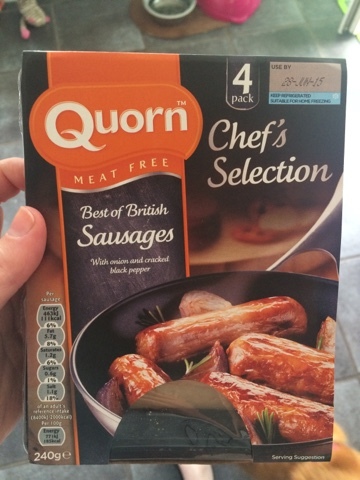 Lastly I bought quorn's finest sausages. I have a love-hate relationship with quorn anyway. 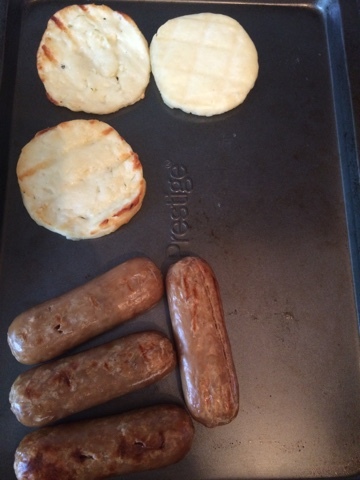 Some things are lovely (their kievs, escalopes and tikka masala) however their burgers and sausages I'm not overtly fond of. 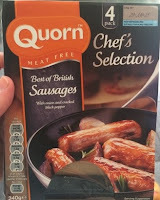 It was nice with plenty of tomato ketchup in a hot dog bun however you don't get that BBQ taste quite the same and I could still taste that same chemically after taste I seem to find with quorn. 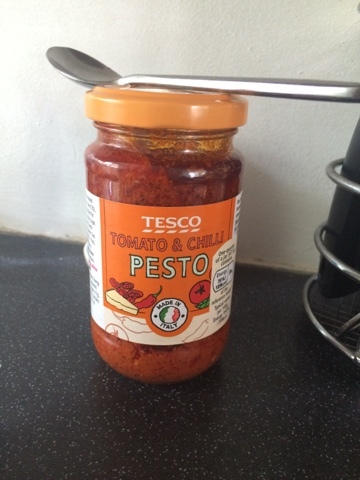 Filling up with spinach and pine nut pasta salad front Tesco and coleslaw, I would say my first attempt was relatively successful however I'm rather excited to try the cob with Parmesan instead. I could see how amazing it should taste if done right. 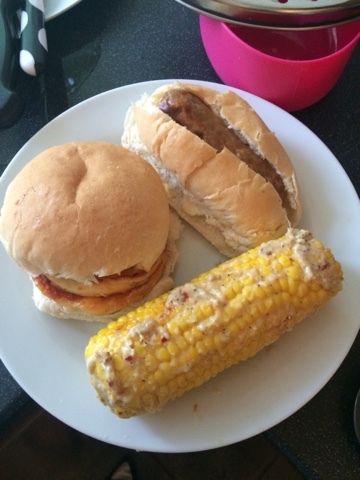 Do you have any ideas for a meat-free barbecue? Let me know in the comments below!